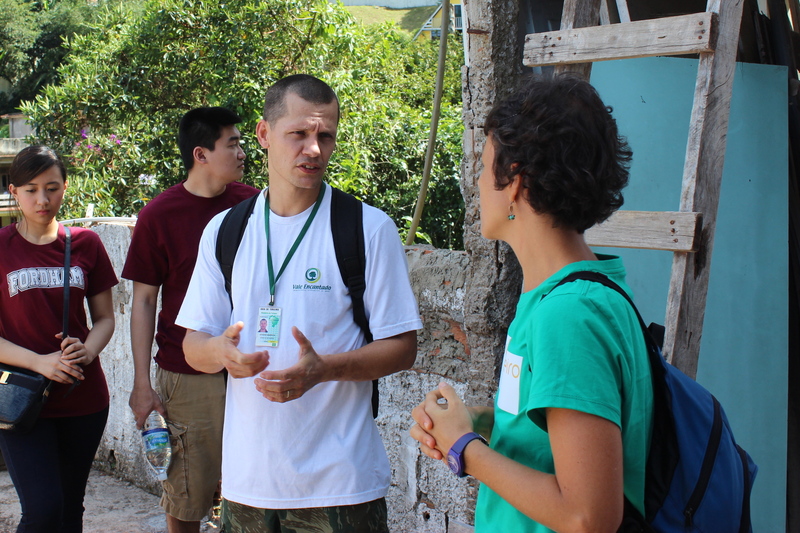 There have always been “favela tours” but in the past they have been a kind of poverty safari. A non-local guide, who knows very little of the community, will show tourists round poor areas so that they can take pictures. Soul Brasileiro connects travellers with another perspective. The perspective of the people who live in the community. 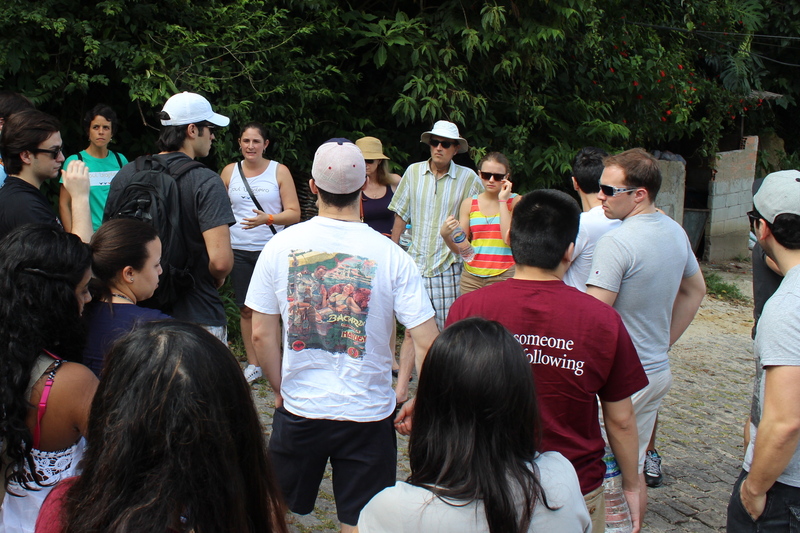 I joined Caca, Soul Brasileiro, and a group of graduate students from the USA on a 4 hour nature trail and visit to Favela Vale Encantado in Rio De Janeiro. 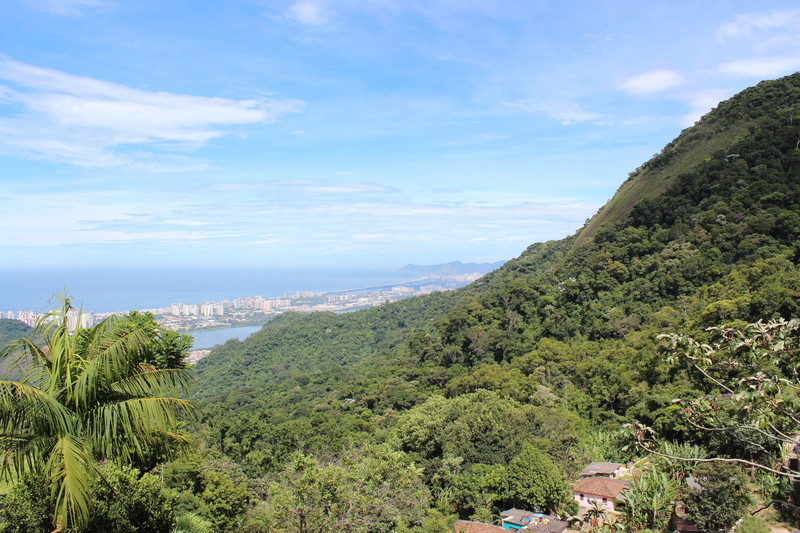 The tour took us to the beautiful Tijuca forest, on the side of one of Rio’s many hills (which by they way are not hills, but “igneous protrusions”). We were guided by a local resident of Vale Encantado, who told us that three families had lived in this area since the 1870s. Practicing various trades through the generations, from farming, to flower growing, to granite mining. The land ownership had been passed down from family to family, and now while there still three family names, there are more than 40 families, and 140 residents of this community. Certainly, it is one of the smaller favelas in the Rio. After our walk through the village, we were treated to the cooking of the award-winning community owned kitchen. Proceeds from the meal and tour are going towards helping Vale Encantado set up an organic food garden. Soul Brasileiro has been set up to help support communities like Vale Encantado develop their economy and create jobs in sustainable tourism. If you are looking for a real experience with the poor communities of Brazil, that not only educates and inspires you, but helps the community too, then I can highly recommend getting in touch with Caca, and Soul Brasileiro. This entry was posted in Adventure, Brazil, Eco Tourism, Inspiring, South East Region and tagged brazil, community, favela, inspiring adventures, learning journey, Poverty, rio, Rio De Janeiro, soul, soul brasileiro, South America, Travel and Tourism. Bookmark the permalink.